My Carradice Barley bag is probably my most used bag. I need more capacity when I’m S24O-ing, but most of my rides are less than 6 hours, don’t involve huge temperature swings, and the Barley seems to fit what I need. I can even get my brew-up gear in there. The first thing I noticed was that the bag seemed to be swaying more than usual. Eventually, as I was packing for a ride, I realized that the seat post attachment point was almost entirely detached. Mrs. Pondero to the rescue! Pink thread because she said that was the strongest quilting thread she had available. I’m quite pleased to have such a great bag back in service, and fortunate to have somehow persuaded this wonderful woman to marry me 31+ years ago. 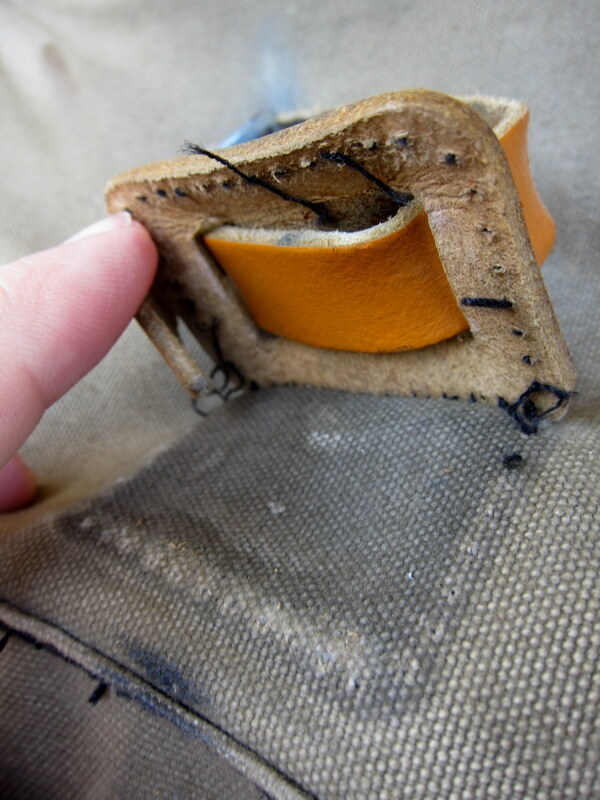 The leather to canvas interface seems to be the common failure point on Carradice bags, at least mine. They haven’t broken there, but I’ve had to have straps reattached. I’ve given my local outdoor equipment repair shop a lot of business on that one! It appears the leather and canvas are in pretty good shape. I think the thread was the failure point. Its handy to have an expert in the home to help me with this kind of repair. She’s a wonderful lady, even if she tricked you into pink thread. Trick? Of course not. Just a little giggle. 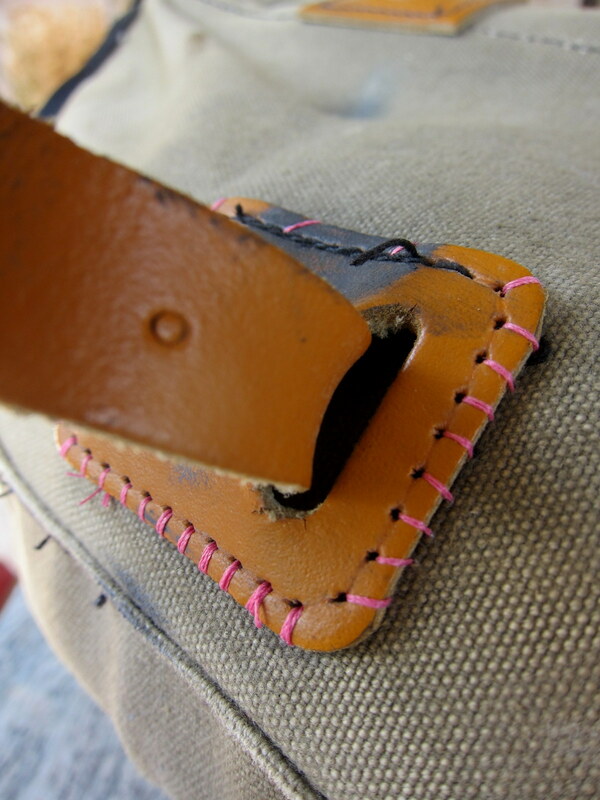 Very nice sewing; surgical precision I’d say. You won’t have trouble distinguishing “original” from “restored” with that thread color, either! We’ve been together long enough for her to know the bike IS my psychologist. Thanks for the encouragement. I am often humbled when I realize the blog talent out there that will check-in here occasionally. It is awesome that 1) you got the bag fixed and 2) that you have someone who knows how to help you. Congrats on the 31 years and wish y’all many more years of bliss. Thanks, my friend. I wish you were still in Texas, and we could make another run on Mineral Wells State Park! On a trip to Mineral Wells, yes I wish for a repeat as well. Only this time, I promise to pack lighter.